I don't normally post on Sundays, but this recipe will be on my meal plan tomorrow, so I wanted to go ahead and share it. This is one of my favorite salads to make when we are entertaining. 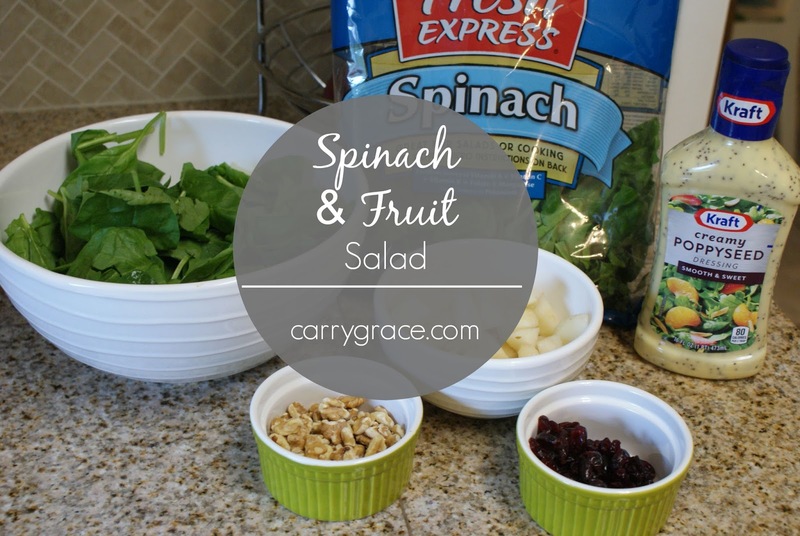 It's very quick and easy to throw together and you can change the fruit up based on what it in season. 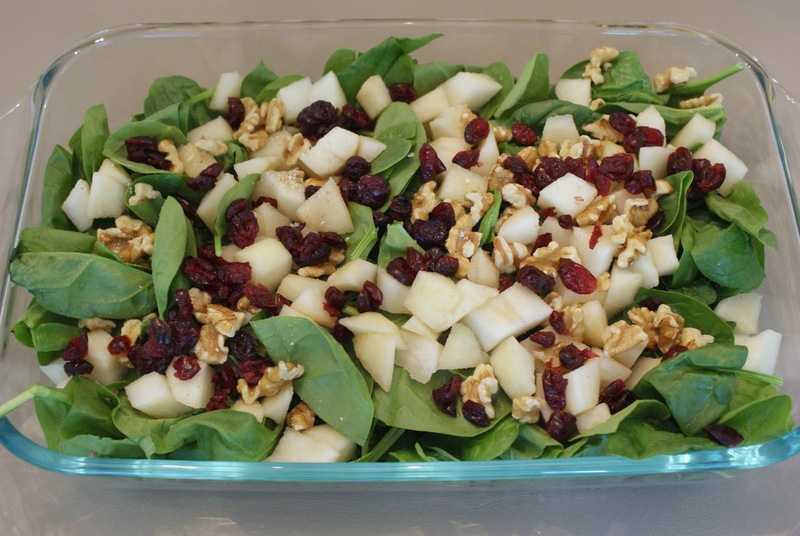 It works great with apples, berries, and pears. I had a 5 gallon bucket of pears I am working my way through, so we went with pears this time. I never measure any of this, so just use what looks good to you.